This chapel in Tarnów, Poland, is by Marta Rowińska & Lech Rowiński of the firm Beton (photos by Beton) and was completed in 2009. Being a completely non-religious non-churchgoer who really dislikes all the tortured religious iconography and narrative (and could do without the cross), I don’t know why I’m so attracted to all these humble churches (see also here and here) but I think it’s a relief to see a building whose utility is somewhat non-utilitarian and undefinable. Buildings by the Albuquerque-based architect Bart Prince. The top photographs show the house he built for Joe Price, a collector of Edo-era Japanese art and design. This is a small sample of photos of his work from the April 2009 issue of Wallpaper Magazine (a really good issue). As with other houses we’ve shown, the influence of architect Bruce Goff, Prince’s mentor, is really evident. This gets points for adventurousness and imagination and magic, if not success. 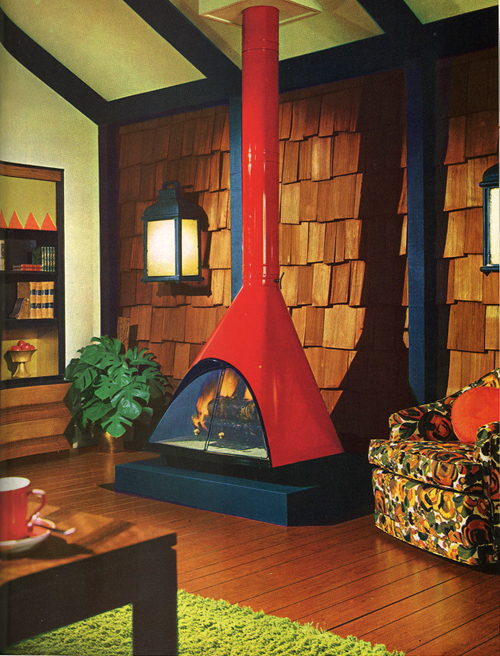 It’s another image from The Practical Encyclopedia of Good Decorating and Home Improvement, Greystone Press, 1970. The textile company Anek Taanka, which means “infinite stitches,” was founded by Indian textile designer Varsha Sharma. 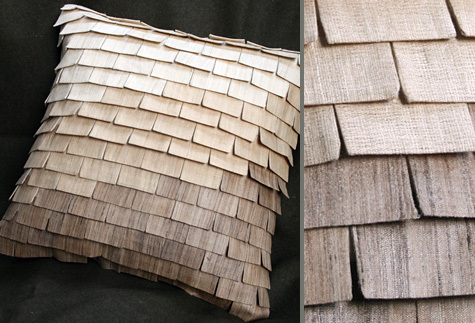 She has said that “my challenge is to create pieces of textile that could inspire spaces to be designed around them rather than the other way around.” That’s a bold ambition but this pillow makes you think she could actually do it.